Pattaya’s expat community might be considered fortunate, or lucky being able to up sticks and leave their homeland and settle in Pattaya, most of them stumbled in to Pattaya whilst taking a vacation in Thailand, they decided that this a better place, they like the Thai way of life and the culture, not to mention the tropical weather. Aside from being fortunate, they are mainly strangers to each other, most are just an anonymous face, hiding a story we never hear. Many of the characters and personalities behind those anonymous faces are unique, they might be unique for what they do, the way they act, the way they dress, or how they interact with the Thai culture. One such person is “The Running Man”. The Running man, “Running the opposition into the ground since 1983” is he the fastest ex-pat in Thailand ? 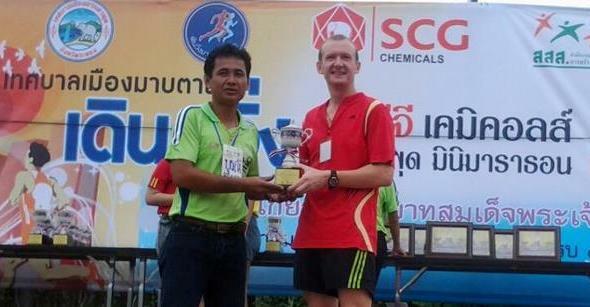 Pattaya ex-pat Jonathan ‘Onions’ Wardley (The Running Man) likes to run, he’s not a jogger, nor a fun runner, he’s a racer with a desire to win, Jon Wardley (pictured above and below) is a self confessed racing snake. Jon’s lifelong obsession with running has never waned since he made the move from England to Pattaya, the searing heat and humidity, and the dusty roads of Thailand may have replaced the chilling wind of England but the Running Man’s desire to race and compete knows no boundaries. Formerly a soldier in the British Parachute Regiment but now working as a Commercial Diver for local company Mermaid Offshore Services, the speedy expat has been competing on the Thai running circuit with phenomenal success, Jon’s performances in Thailand make him unique, no other foreigners, apart from top internationals who run the Bangkok and Pattaya marathons can claim as many podium places as Jon Wardley. Jon “The Running Man” Wardley lives in Pattaya with his wife Luan and daughter Amy, after traveling the world on a mission to race in as many countries as he could, Jon decided to make Pattaya his home. Despite the hot and humid conditions Jon maintains a rigid training schedule, aside from his family, competition and personal goals are foremost on the Running Man’s agenda. Beneath the mild mannered exterior, the softly spoken Brit is a ruthless tactician, when he’s at peak fitness one of his favourite tactics is to “run his opponents into the ground”. Jon’s success in Thailand has been welcomed with mixed feelings, it is rather unfortunate that some opponents and officials don’t like to see a foreigner winning in Thailand, being tripped and sent the wrong way are common obstacles on Jon’s path to the podium, even whilst on the podium he has been denied his prize. But in the true spirit of a runner and soldier the Running Man is unwavering, a unique ex-pat with a unique talent, living and competing in a unique country. Questions and answers with The Running Man. 1. Do you have a nickname, anything to do with running. Nick name Johnny onions as I lived in France for two years back in year 2000, reason being my coach was French and a task master that liked to push English runners’ good example of that was when I raced 12k on a Saturday and made to run 18 miles the next day at a good pace. 2. How does running affect your family life. Running in my household is a big thing, I am fortunate enough to have a wife that supports and encourages me to do what I do, I live a somewhat strange life in terms of strict discipline when it comes to training, I’ve adopted a monk like life style, running, eating, sleeping and taking care of the family, when not at work. I don’t have much of a social life but I need to keep it this way to keep the focus. I’ve scarified a lot over the years for running with no regret. 3. Do the family get involved. My family are involved in running with me, they come to the races with me and support me 100 percent. I could not ask for more, my daughter runs the fun runs which is great to see. How many wives would get up at 2 am on a Sunday morning and go to a race with me??. 4. Why did you start running. I started running when I was at school mainly to keep fit for football, as I was a left winger, I loved football but when my father left I gave it up. At my school running and athletics was a big thing, very competitive and I seemed to slot in o.k. 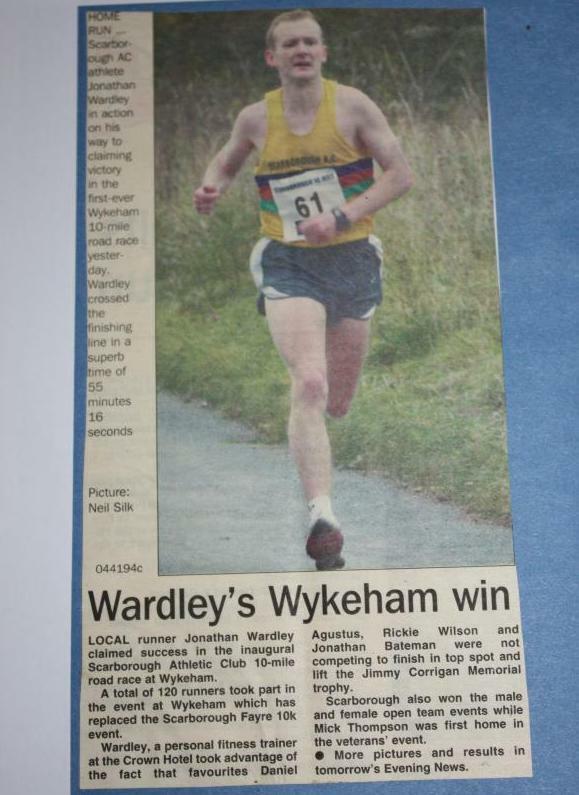 By the time I was 11 I was running county standard races finishing in the top 5 or so. Later I joined the army cadets where I ran the National Cross-Country for them in Folkstone, finishing 15th place, this was the start of things to come. 5. Who inspired you to run and why. As a kid I was lucky enough to grow up in the so called “running boom”, Seb Coe; Steve Cram and Steve Ovett, the Olympics was a massive inspiration from as long ago as I can remember. 6. When did you start running competitively. I ran my first race for Scarborough harriers around 8 years old followed by school cross country and track meetings. 7. Do you want to win. The will to win burns deep, I am a quiet man but become a racing animal when its time to race, no one wants to be second, or first fastest loser. 8. Could you have made a career from running. Running is my life and I tried so hard to make it to the top but its only a select few that actually do, with East African dominance in long distance running it makes it extremely hard to compete with Kenyans and Ethiopians as their camps and financial backing is ladled out for them. The U.K wants the results without actually developing athletes, you have to be from a wealthy family or extremely talented to gain government backing. 9. When did you start racing in Thailand. My first race in Thailand was the Thai Temple Run which I won back in 2004, I was so happy to win it as it was a really hot day and I didn’t feel great. 10. How many races have you run in Thailand. I’ve raced more than 30 races in Thailand, I’ve never been out of the top ten really, even on my bad days, I think my best result is the Kon Kean international where I was 4th over all against the best athletes in the country, although winning other races this one is significant, having said that I was 3rd in Bangkok quarter marathon this years so its hard to say which means the most. 11. How many podium places in Thailand. Sounds a little big-headed but I’ve lost count really, I would say at least 26 or 27 times at a guess, sometimes self expectations over shadows what you have already accomplished. 12. What is your favourite distance. 10k is my favored distance, its short but intense, there’s no resting and if you get it wrong your out the back door, longer distance races involve a bit of cat and mouse, you have time to rest on the wing and come back.!. 13. What is your best distance. Again 10k is my best although I’ve ran some good half marathons which include The Great North Run where I finished in the top 70, sounds bad but there was 50 thousand in the race. 14. How many full marathons have you run in Thailand. Only half marathons in Thailand I am afraid to say, the heat’s too brutal to run fast times so I stick to shorter distance as they don’t wipe me out. 15. How many times have you run the Pattaya Marathon. I’ve raced the half marathon one time and the quarter marathon 4 times, not my favourite event but I wont go too far into that. 16. Do you ever use a race strategy. I could only describe myself as a racing snake, I have several tactics that I try, one being running the field into the deck and go like a mad man, usually works but you have to be in great shape to do this. 17. Do you belong to any athletics club or association in Thailand. I am still a member of Scarborough Harriers but not a member of any club in Thailand although I would be happy to join a club in Thailand. 18. Did you belong to any clubs or associations in the U.K.
Scarborough Harriers or ac as its called now, and Abbey Runners in Leeds. 19. Are there many foreigners racing on the Thailand circuit. In the big events yes there’s a lot of foreigners, it’s great to see foreign racers ranging from top Kenyan runners to fun runners. 20. Is it quite unique for a foreigner to take podium places on a regular basis in Thailand. My humble opinion would be yes, its not easy to win, everyone’s very competitive and make you work for it. 21. Is there animosity shown to you by the Thais. In the past there has been, I’ve been cheated out of prize money, sent the wrong way and had my heels clipped to aid me have a fall. 22. Have they accepted you more over time. Of late I’ve become more accepted, having said that they’re not money races so maybe I’m falling into a false sense of security. 23. Who is the best runner you have ever competed against. I think I would say Paul Target the former world marathon record holder, fantastic in every sense of the word. 24. How do you cope with the heat and humidity in Thailand..
It’s taken a long time to get used to running in Thailand, the heat is extreme which makes it even harder to compete, you can feel wiped out before you even start a race. 25. Has the heat and humidity affected your performance compared to running in the U.K. Yes it’s always on my mind how much time I lose running in Thailand, Ive never run faster than 32 minutes for 10k in Thailand. 26. How does racing in Thailand compare to the U.K. I would say racing in Thailand is very different, the heat and humidity and sometimes geographical challenge of going the right way comes into play, not to mention prize giving and pronouncing your name all adds to the fun. 27. Where do you find race information, events, dates, entry forms etc. Mainly off the Internet, Jog and Joy is a good website with various links attached, or flyer’s from other races with relevant information. 28. Any tips for ex-pats who want to race in Thailand. Avoid Bangkok like the plague it’s a nightmare navigating your way though Bangkok at 2 am. If you’re going to race in Bangkok stick to the big events and stay in a hotel the night before. 29. Any tips for ex-pats who want to train in Thailand. Train early in a morning or evening when its cooler, if possible avoid running through towns or city where possible as you’re likely to be run over or attacked by angry soi dogs, stick to park land where possible, running in the dark is not advisable also..
30. Are you one of the best in Thailand, where would you rank. Hard to say if i am the best in Thailand at my age, or if I’m the best farang. There’s always someone better, no doubt I’ll meet my match before too long. 31. Did you have Olympic potential ?. 32. If you could go back in time and run a race again, which race and why. Amsterdam half marathon, I got 7th place out of around 20,000 people, it was a great feeling as it was live on Europe-sport. 33. Nothing to do with running, but what is your favourite place in Thailand. my home near Mabprachan Lake in East Pattaya, I am a home bird so love being around my family. 34. How would you sum up Thailand, what is your overall opinion of Thailand. Thailand is a very beautiful country and I love being here, although some things irritate the hell out of me, in general never been more happy as i am now. Crossing Finish Lines and making Headlines, Jon Wardley is fast news. 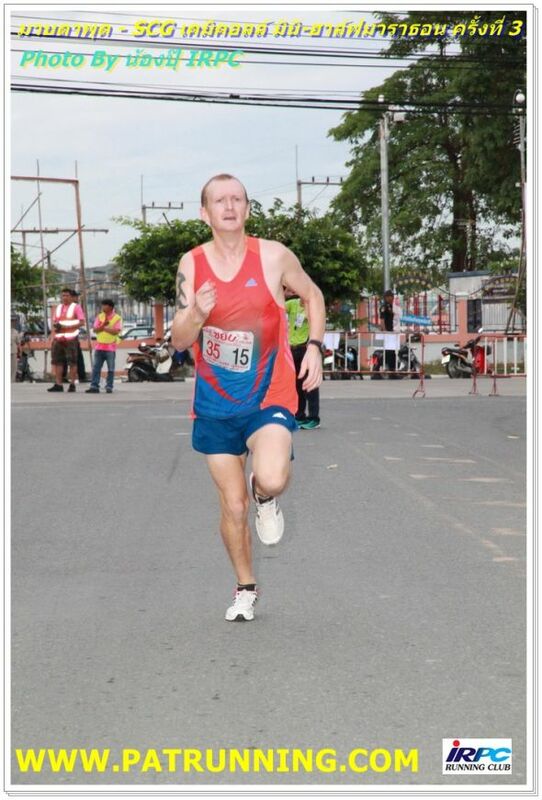 A lifetime on the move, a lifetime of change, running has been the one constant in Jon Wardley’s life as he cherishes his past and present, and looks forward to a successful future in Pattaya Thailand.